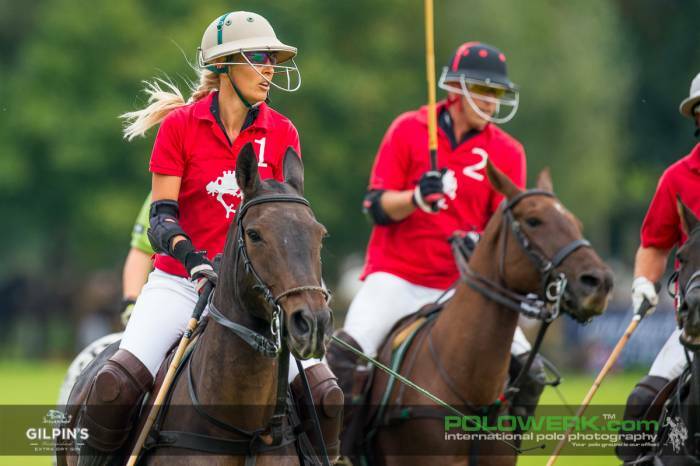 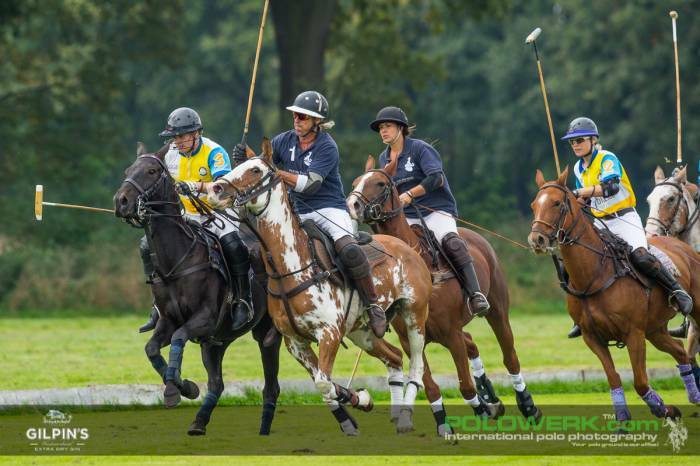 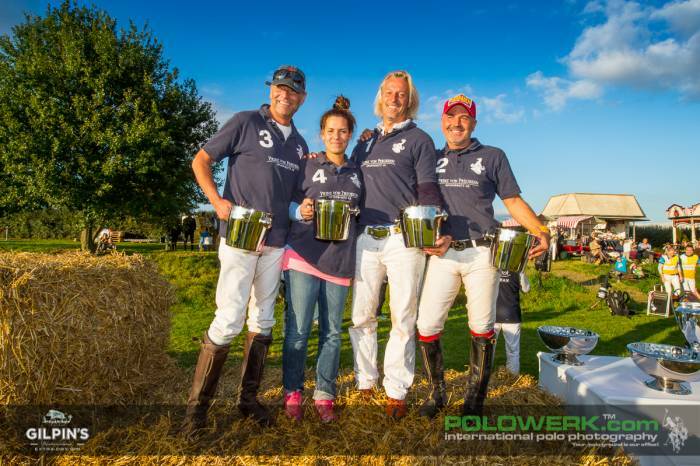 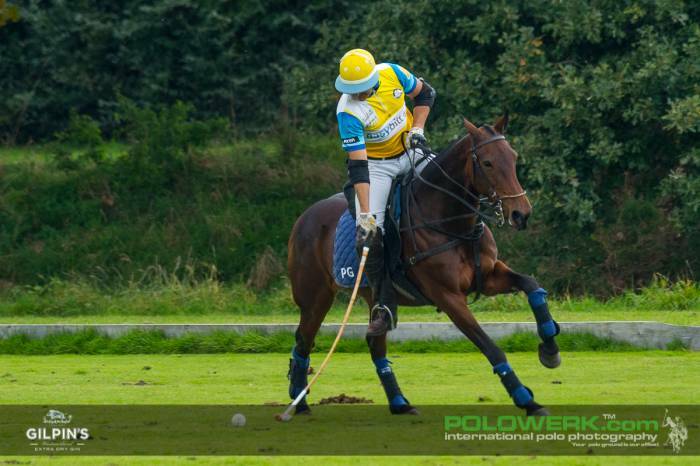 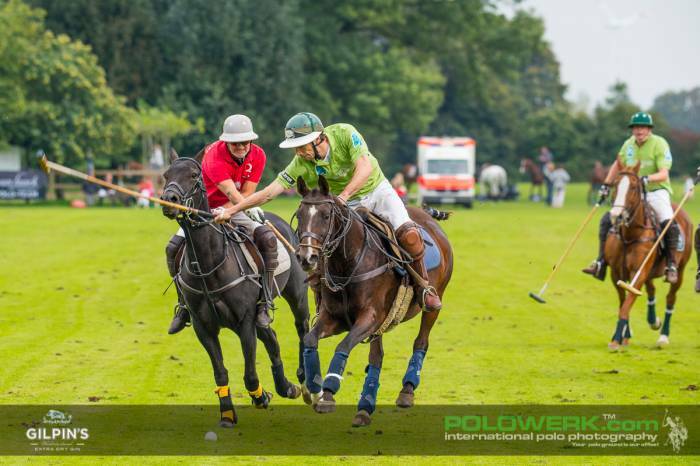 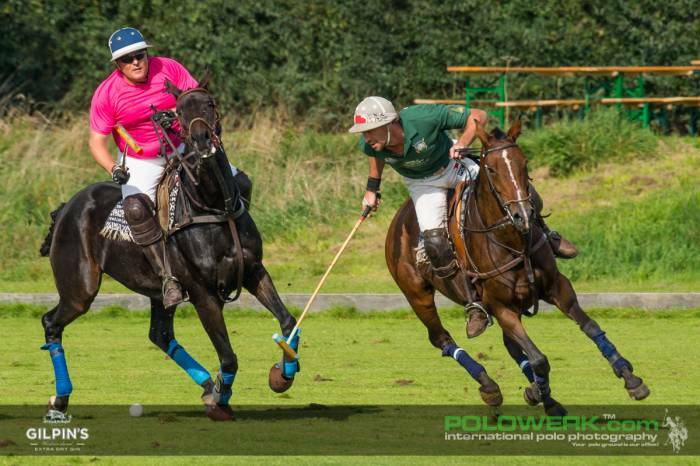 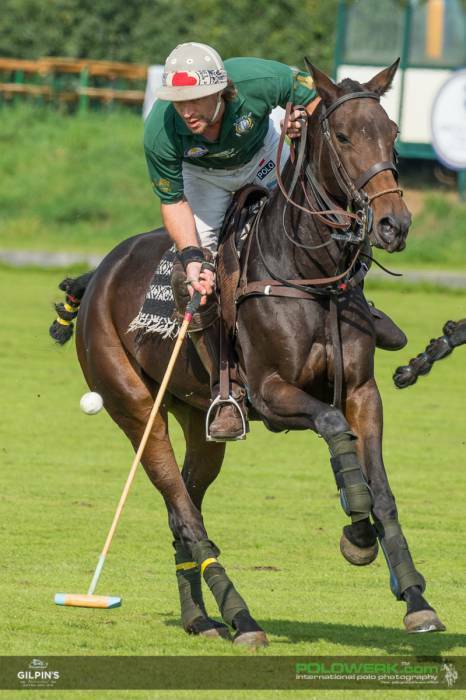 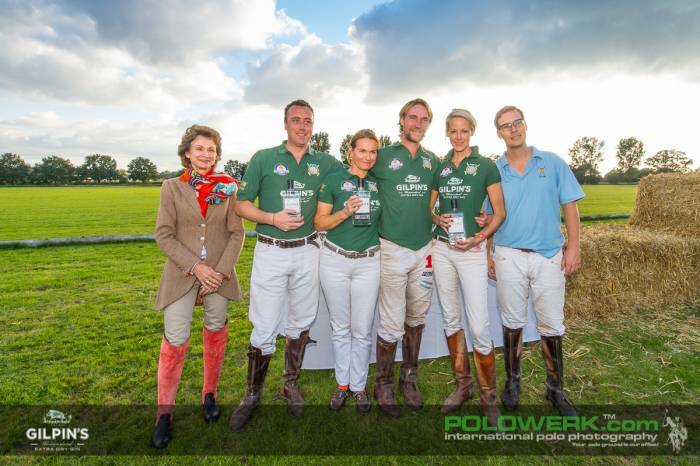 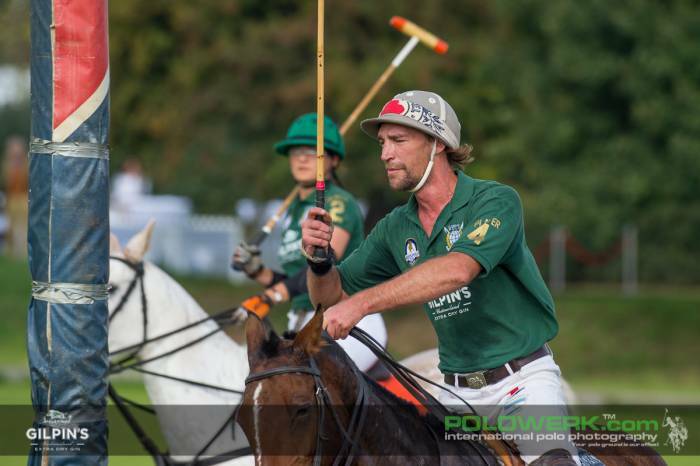 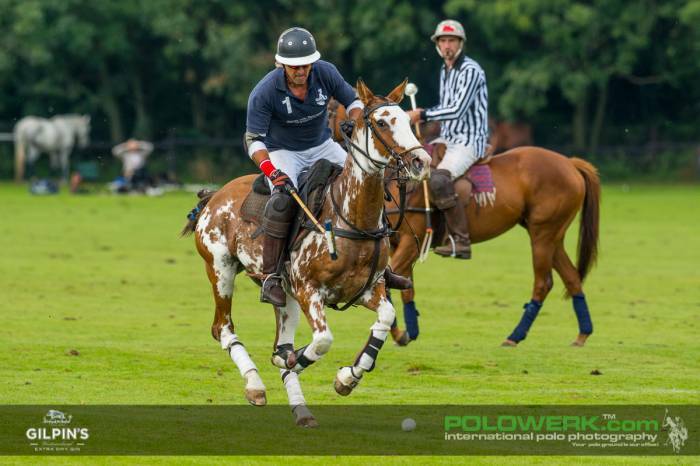 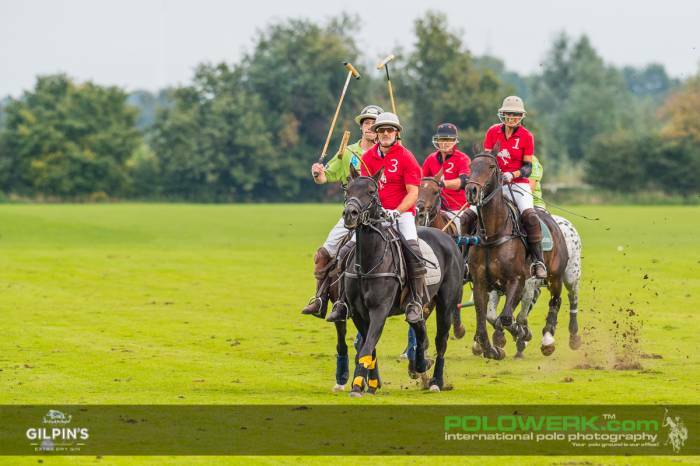 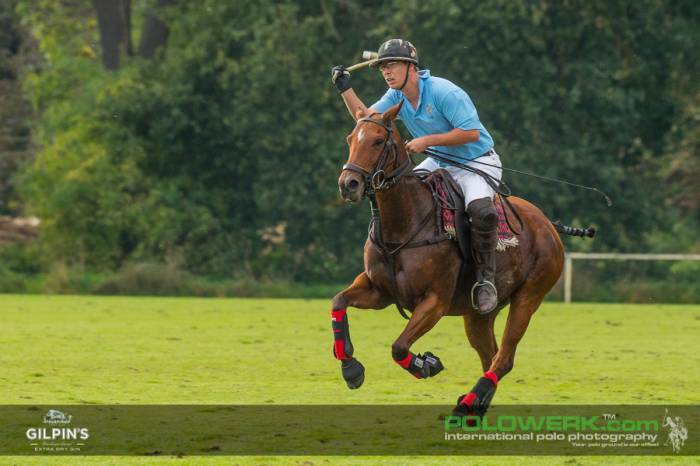 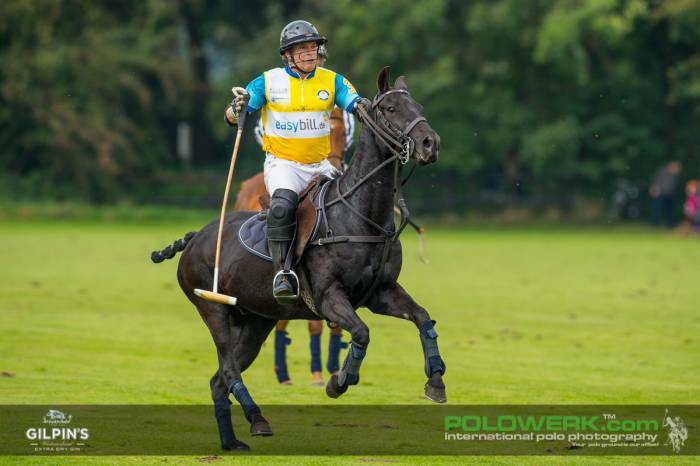 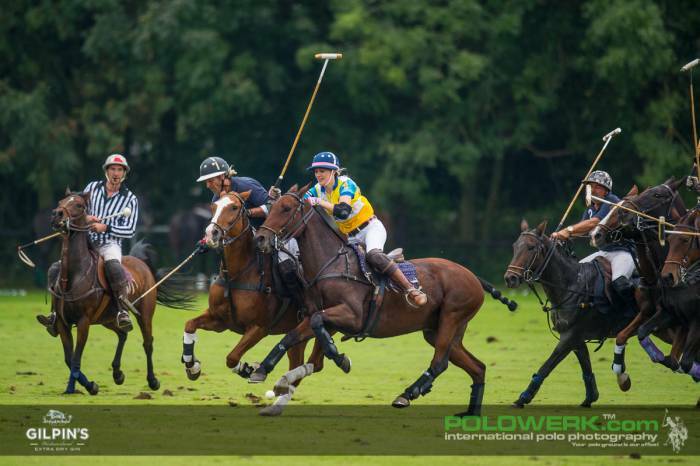 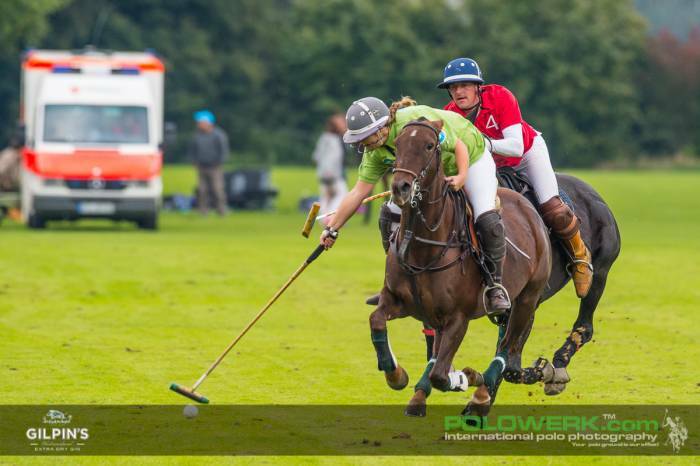 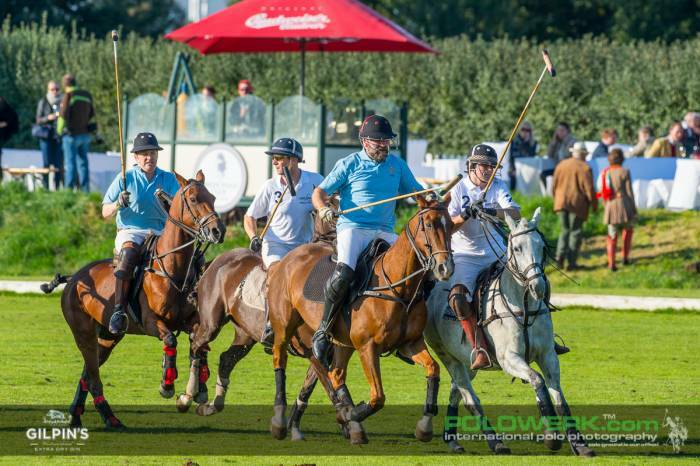 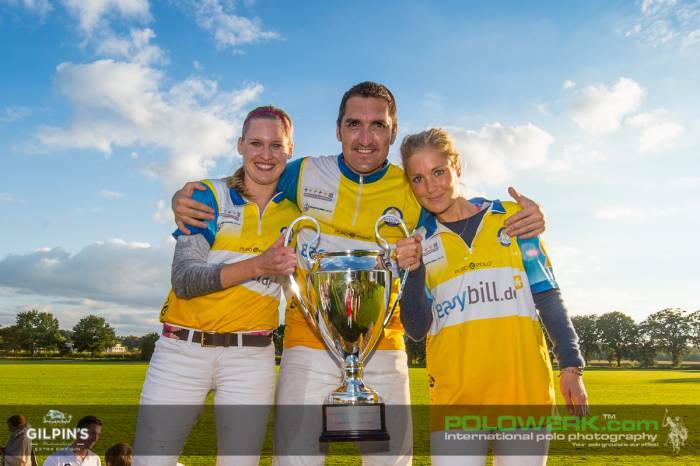 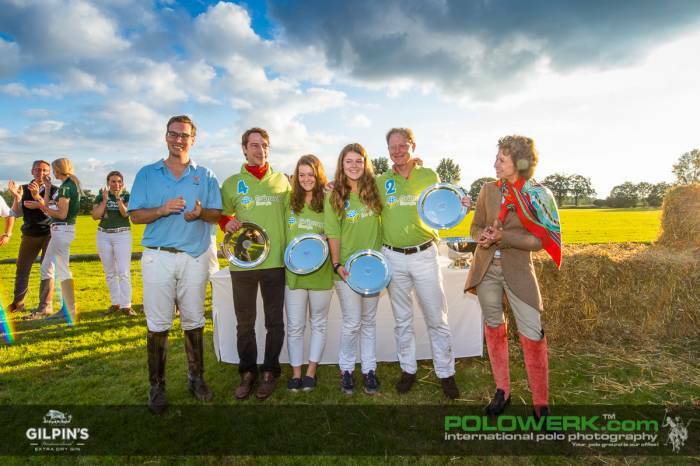 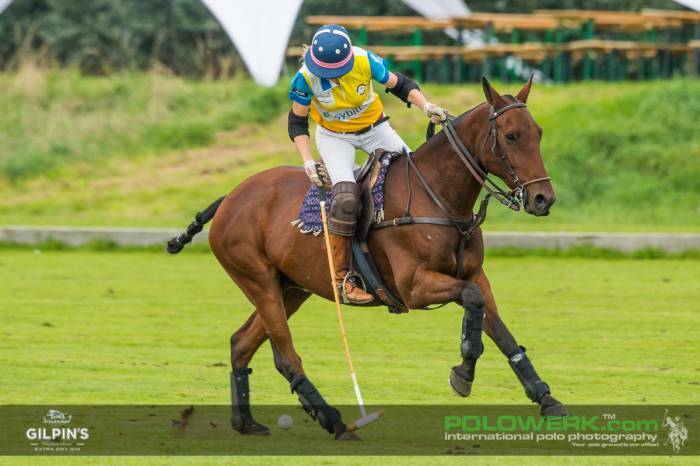 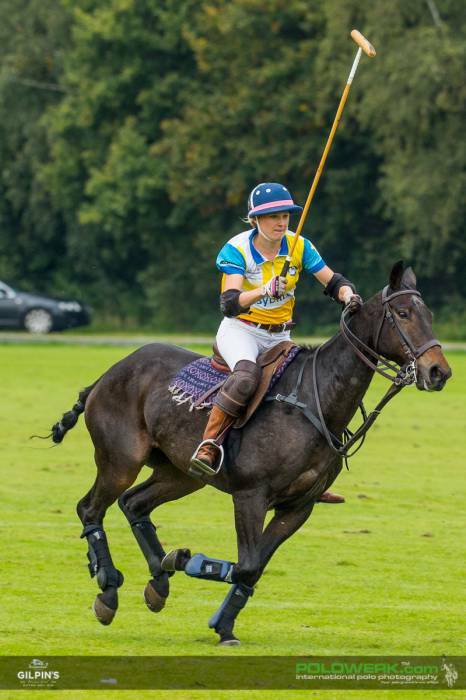 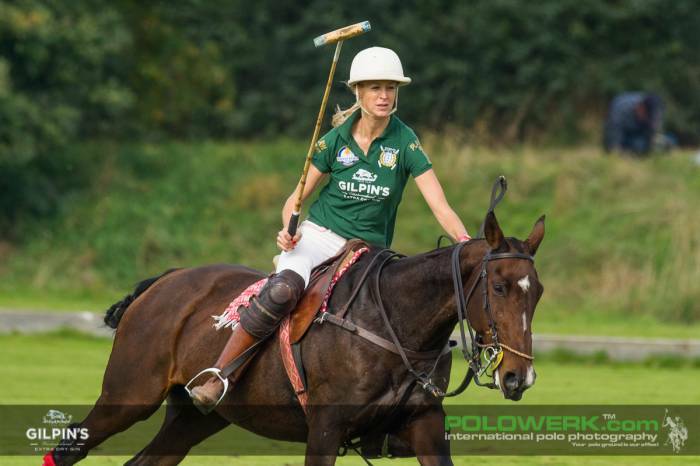 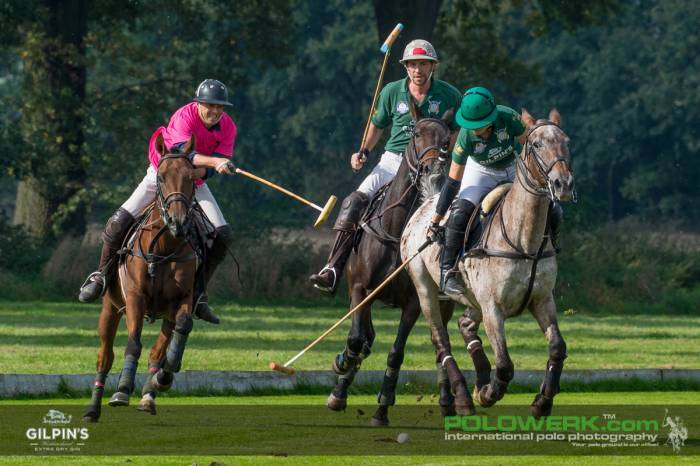 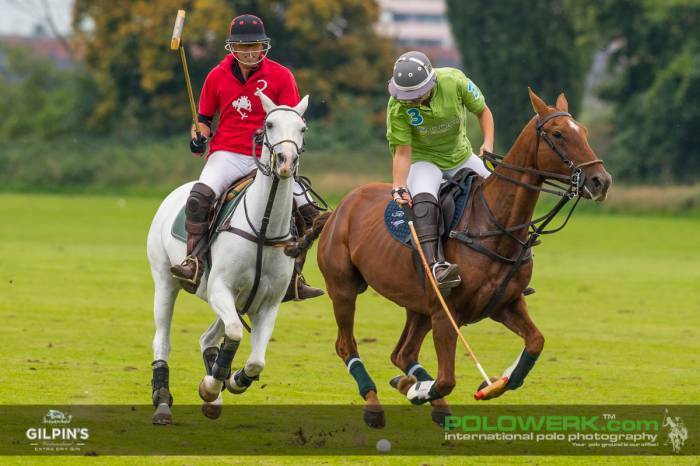 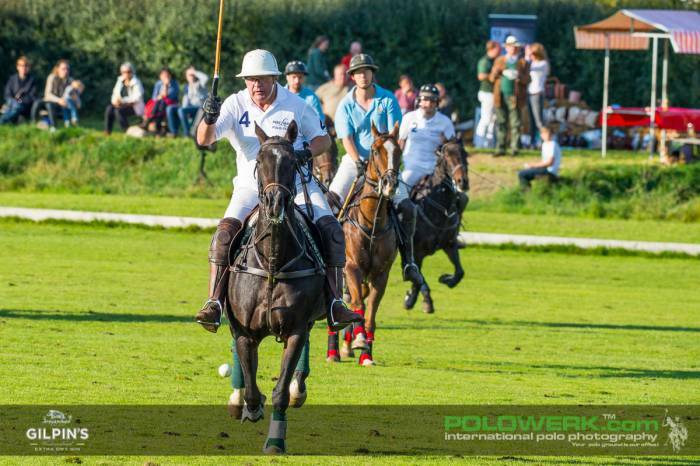 The Rhine Polo Club Düsseldorf (RPCD) closed its 2015 polo season with an exhilarating final. 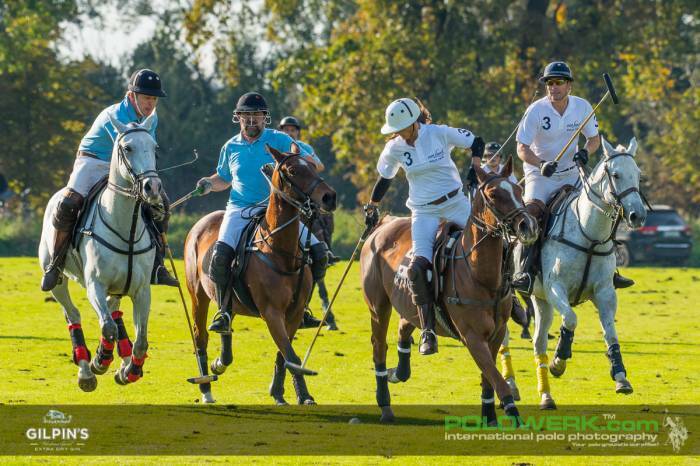 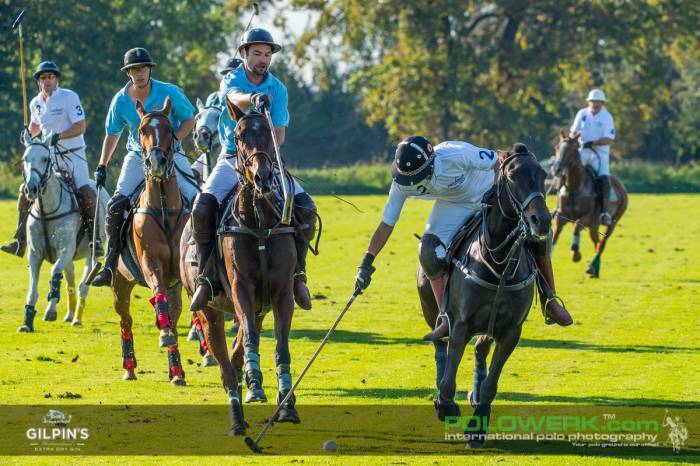 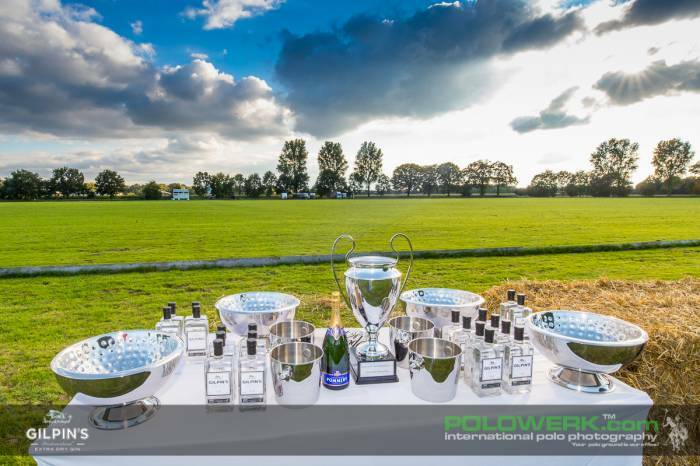 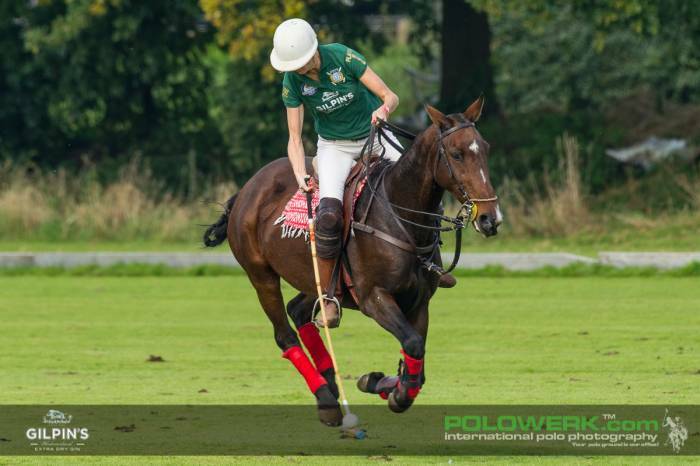 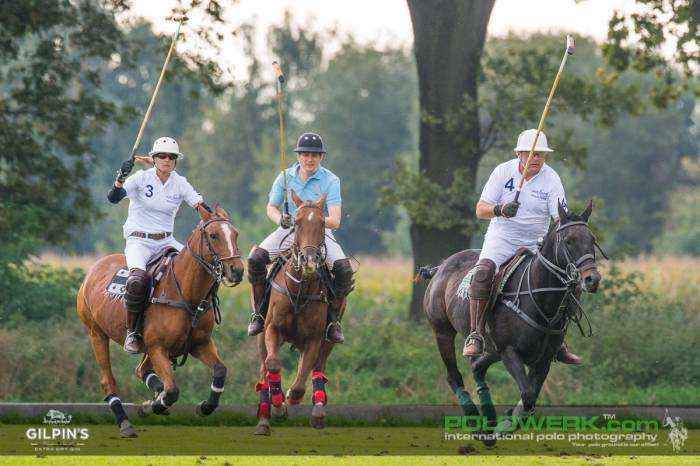 Eight national and international polo teams with handicaps ranging from -2 to +2 came together on a warm October weekend in Willich, Düsseldorf to partake in the 2015 Last Of The Season Cup. 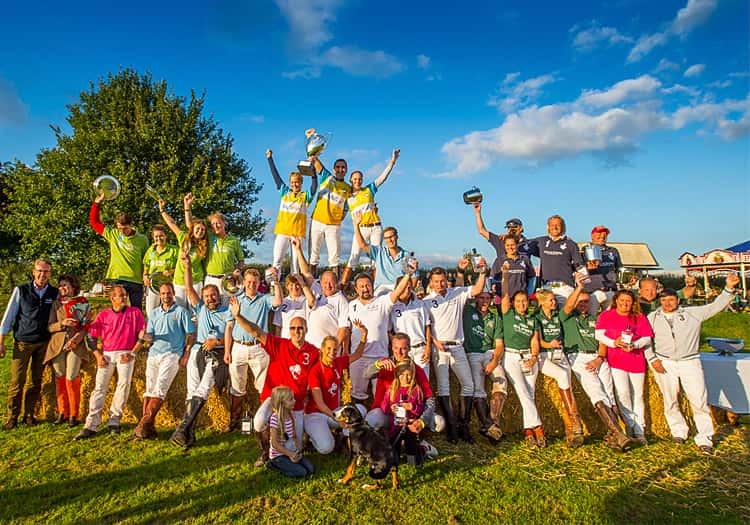 1000 guests enjoyed late summer weather whilst holding their breath as neck shots, near sides and back shots – interspersed with sporadic hooks and ride-offs – led to conferring umpires and occasional penalties, though in the long run excellent teamwork laid the groundwork for an ambiance of fairness and good cheer. 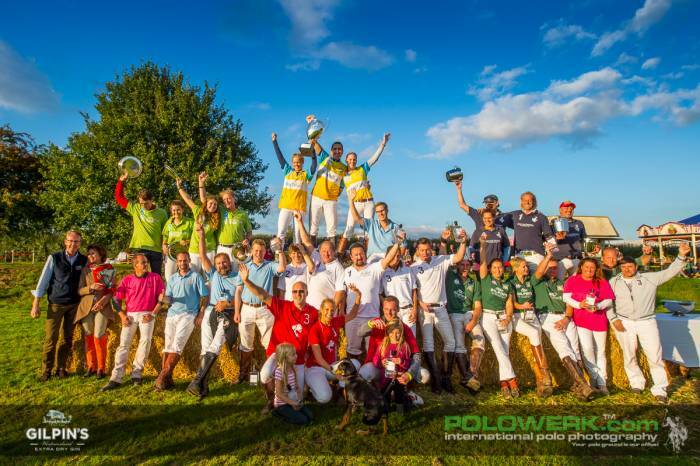 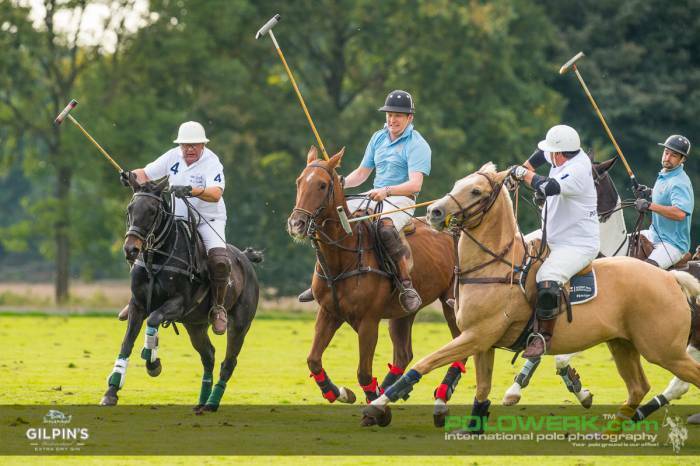 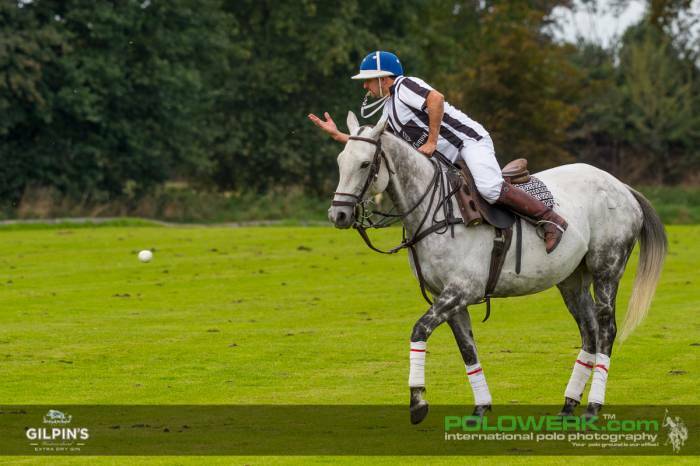 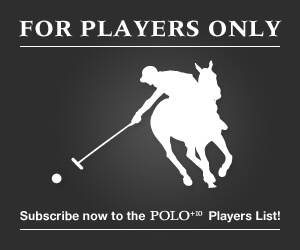 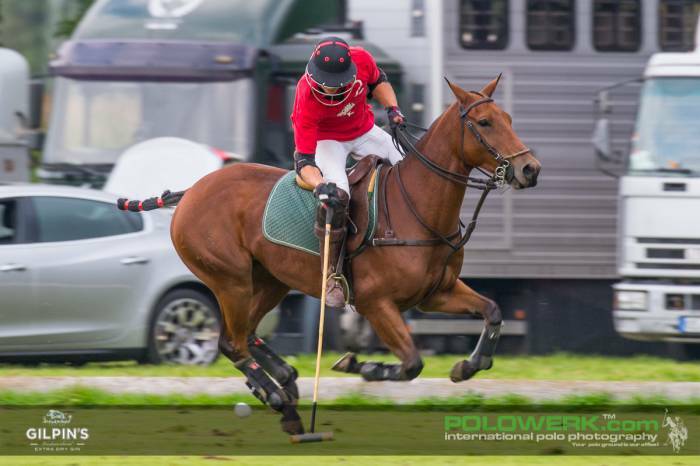 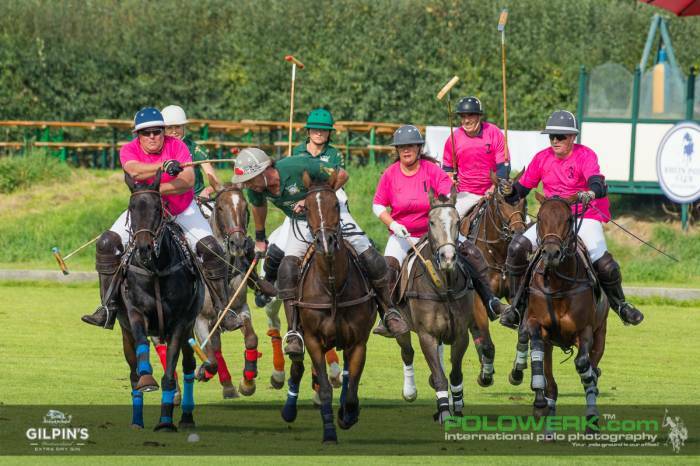 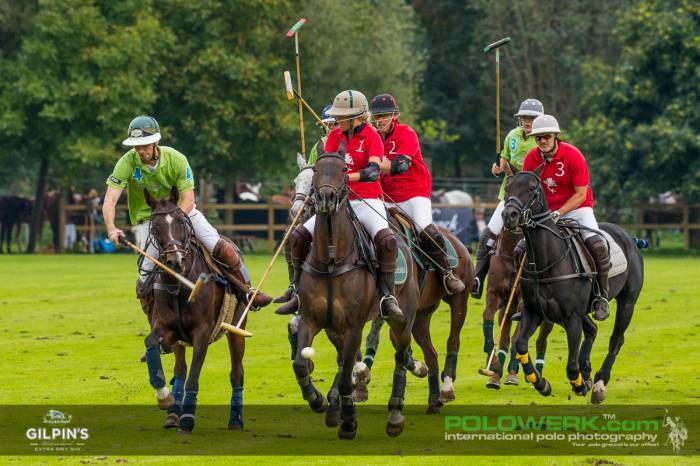 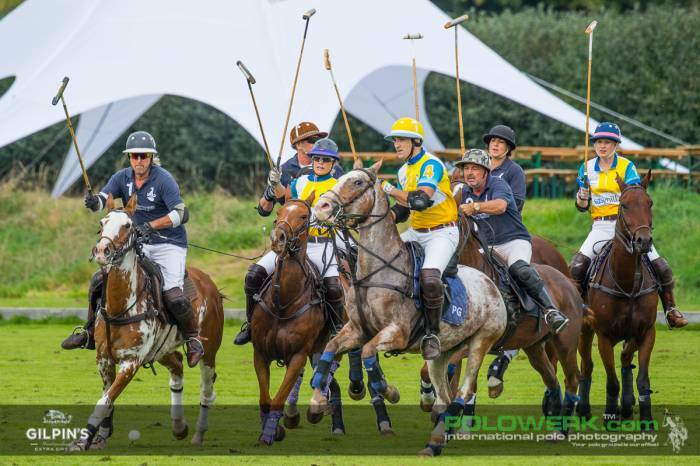 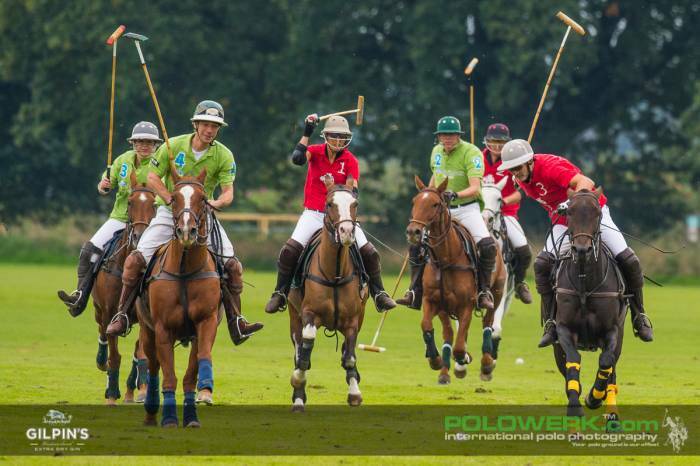 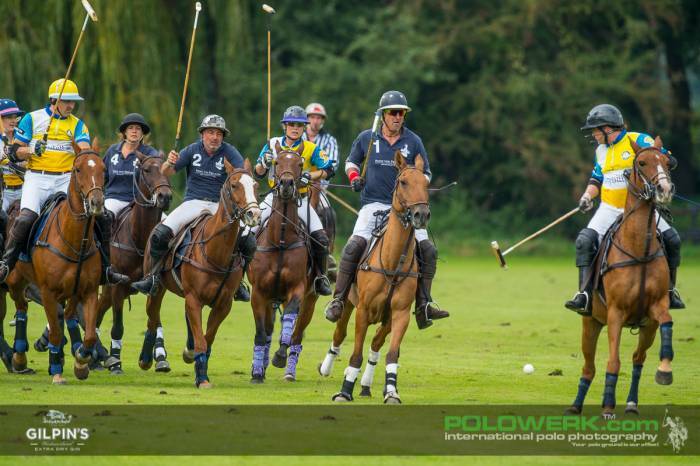 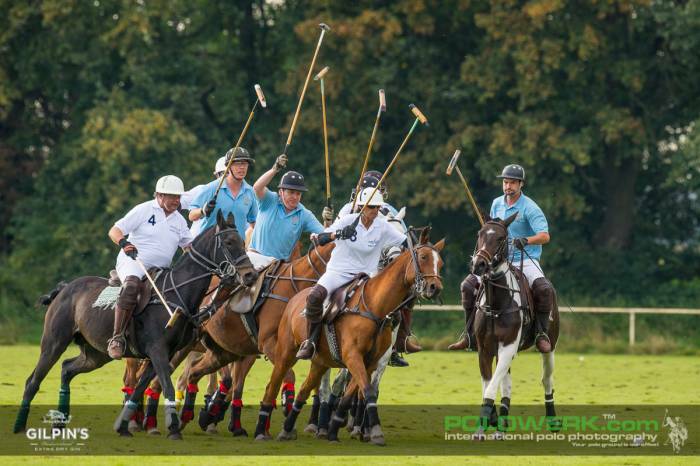 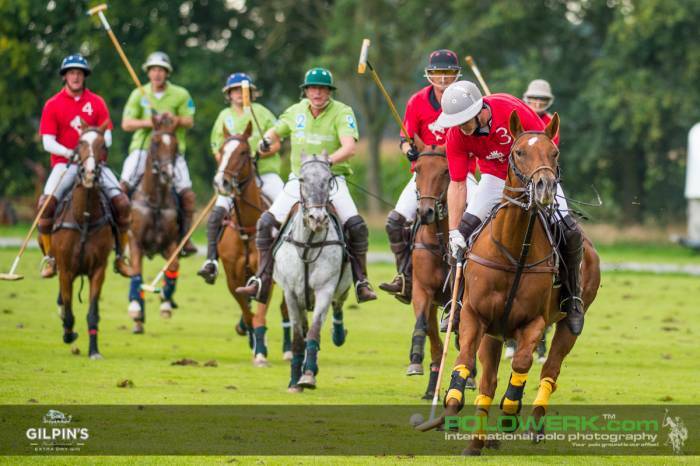 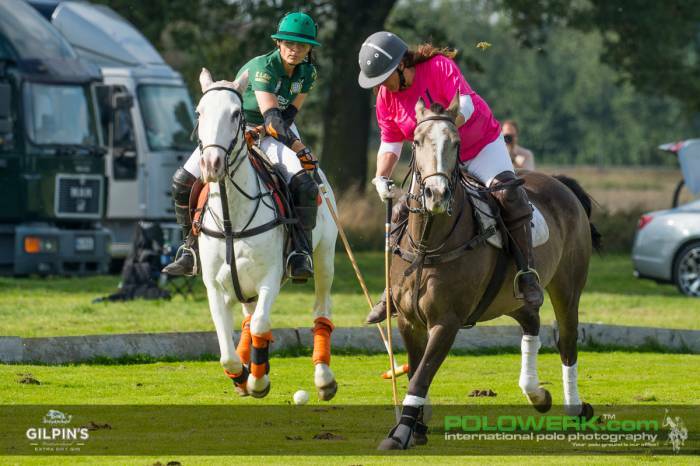 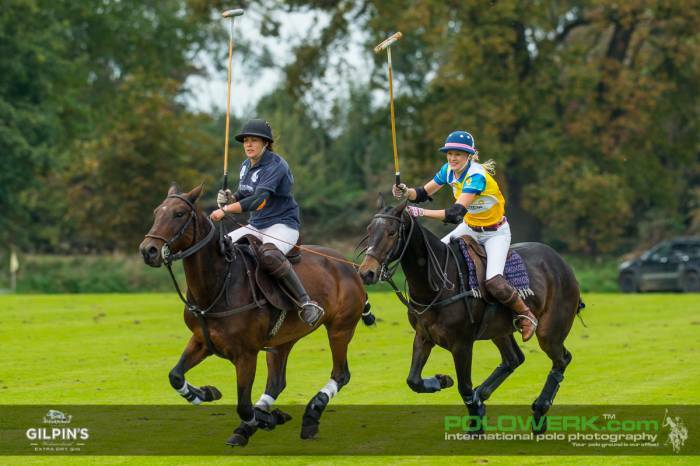 The concept was „Polo without Pros” and this honest game of equal chanced amateurs made for a weekend of enthusiastic excitement. 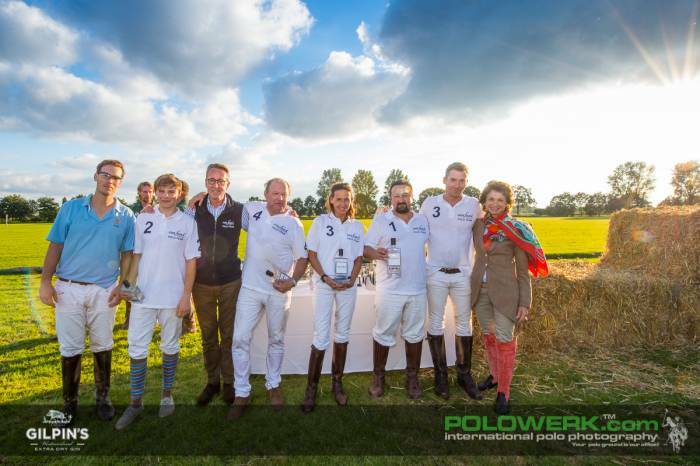 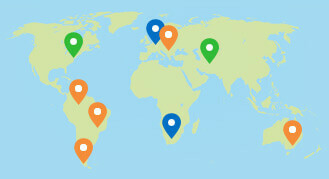 A vivid presentation with players not only from all parts of Germany, but also from England, Luxembourg, Holland, Ireland and the Czech Republic added to the international feel of the tournament. 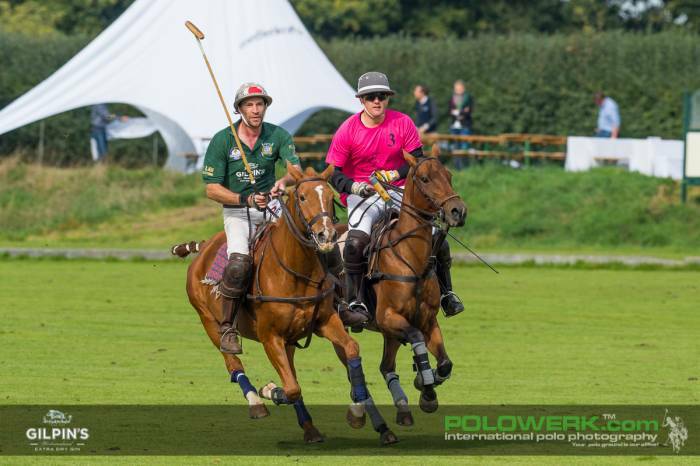 The winner in a sensational final was team esaybill.de with members of the Rhine Polo Club Düsseldorf being, Philipp Gesell (-2) and Lucia Heyes (-2) as well as their team colleagues from the Polo Club Berlin-Brandenburg Clarissa Marggraf (-1) and Nico Wollenberg (+1). 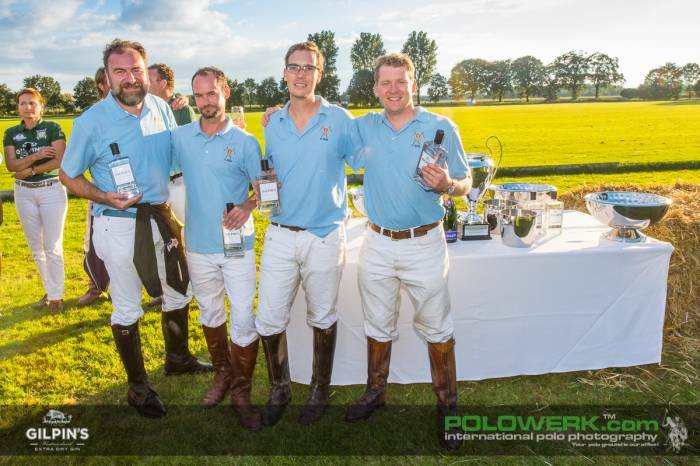 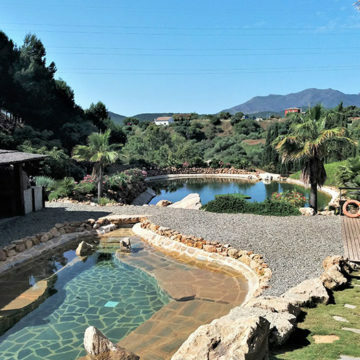 The Last of the Season Cup 2015 proved highly successful both for those seeking to demonstrate their athletic prowess as well as for those out to enjoy a relaxed social outing with the flair of a country get-together. 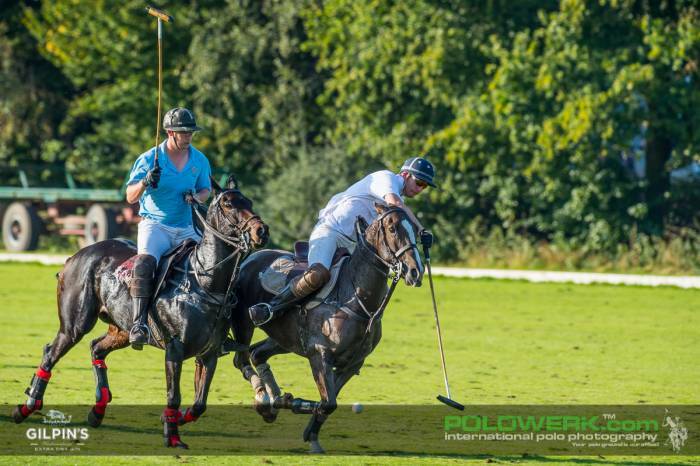 Not only those familiar with this equestrian sport, but also those new to polo enjoyed the highlights of the tournament weekend. 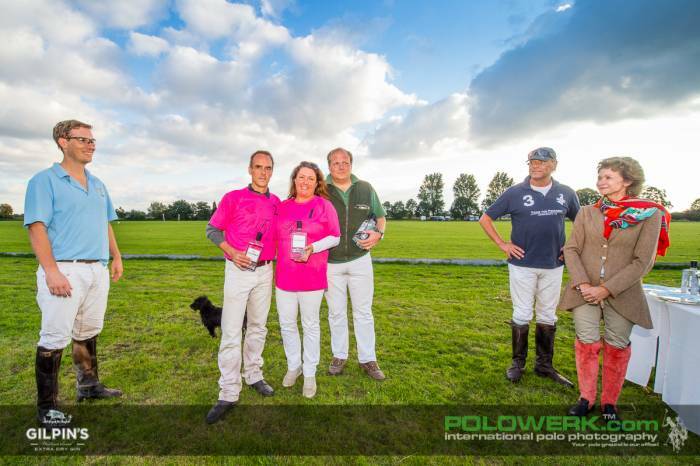 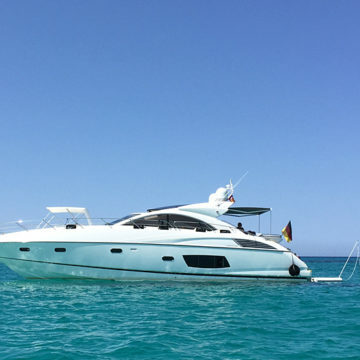 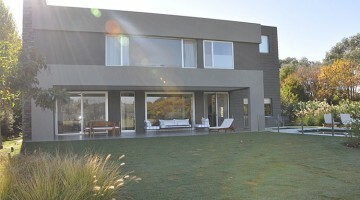 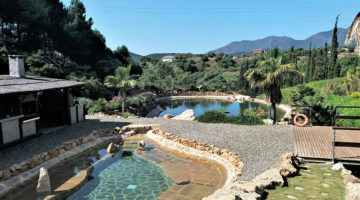 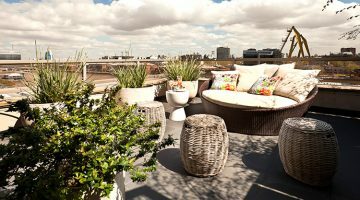 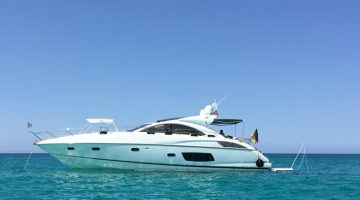 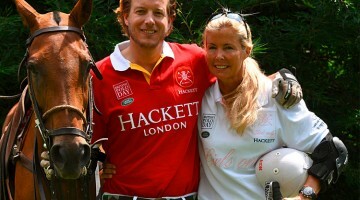 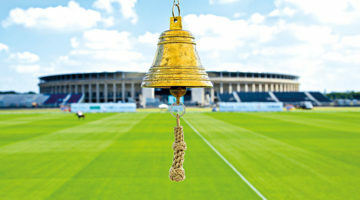 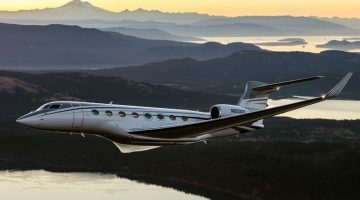 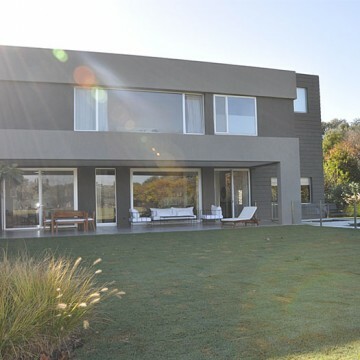 Both causal and elegant – singles and families enjoyed a late summer weekend of sport and champagne. 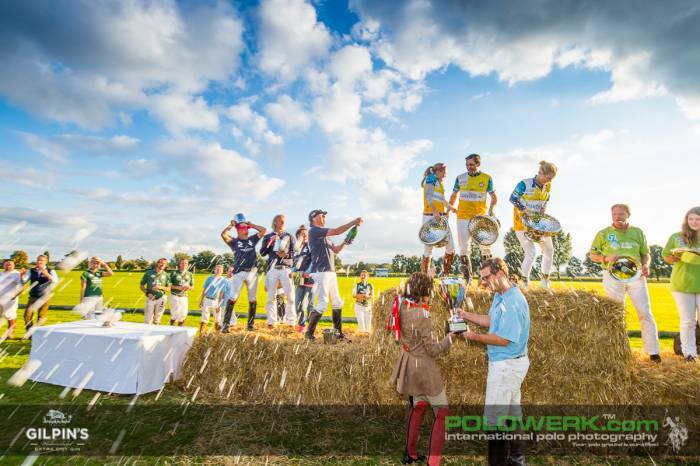 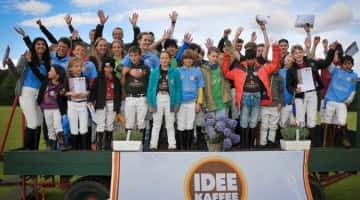 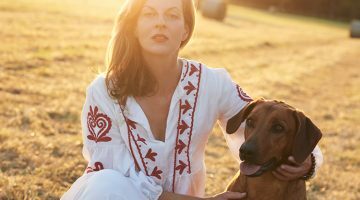 A homogeneous mixture of society and media celebrities, entrepreneurs and families were welcomed by the Rhine Polo Club Düsseldorf and flocked to enjoy a picnic of country-like snacks and refreshments on bales of straw on the grass. 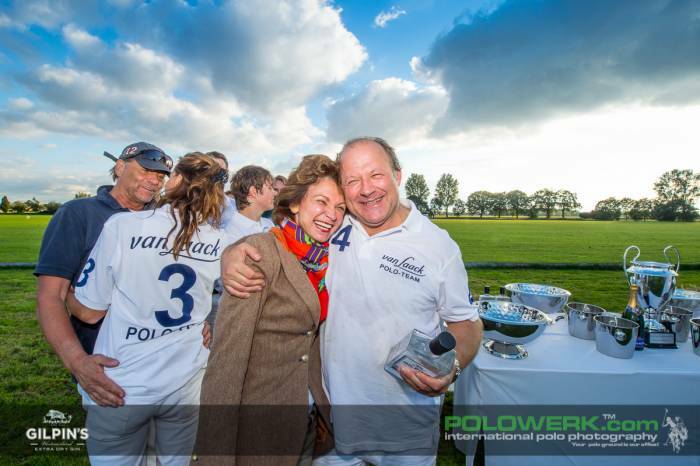 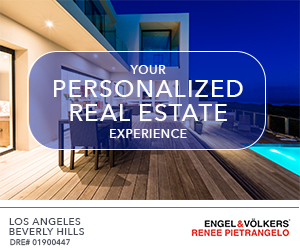 A special VIP area hosted by the main sponsor Van Laak served champagne and proved most attractive and welcome – not only for VIPs but for any of the so inclined spectators. 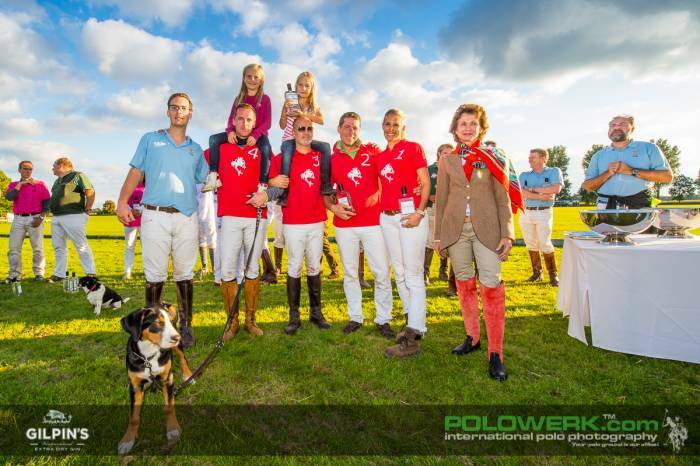 The weekend evenings were certainly special for the players and chosen guests as these enjoyed a memorable night in the Cologne South Station in typical Oktoberfest-fashion on Friday followed by a Black-Tie Dinner on Saturday Night in Dr. Knut Bellinger’s “Shangri-La” – a most special location of paradise-like quality found in the middle of downtown Cologne.